Logins this hour: 22714 ? People often work on schedules from different locations or share admin duties with a colleague or two. If you're a backup scheduler and only need to make simple assignment changes, consider using Amion's online editing tool. You'll be able to log into Amion.com with your admin password and click the pencil icon in the upper right to make one-off changes through our web interface. It's simple, quick and requires only a browser - it even works great on mobile devices. You can make last-minute changes and not worry about whether anyone else is working on the schedule. Only one person can have the schedule open in OnCall at a time. If two schedulers need full editing access, we recommend using the published schedule at Amion as the spot people go to retrieve the latest schedule. Alternatively, you can keep the master on a shared network folder. Connecting to a network folder from home isn't as simple as accessing a public web site, though. Once you've built a schedule and saved it to Amion, go to File / Preferences / System and turn on Run as Web Client. Or go to File / Open. Instead of picking a file, choose to Open from Amion in the lower right. Running as a web client is safer; Amion locks your account so that someone can't save an old schedule over the most recent version inadvertently. Either way, the caption bar at the top should say "Checked out from Amion". When more than one person works on the schedule or one person works from different computers, it is possible to open an older copy of the schedule by mistake and save over the latest version. Amion makes it easy to recover a backup. You can find backups on your computer and at Amion. Instead of opening from Amion, you can keep the master schedule on a shared network drive. Go to File / Save as and save the file to shared folder. 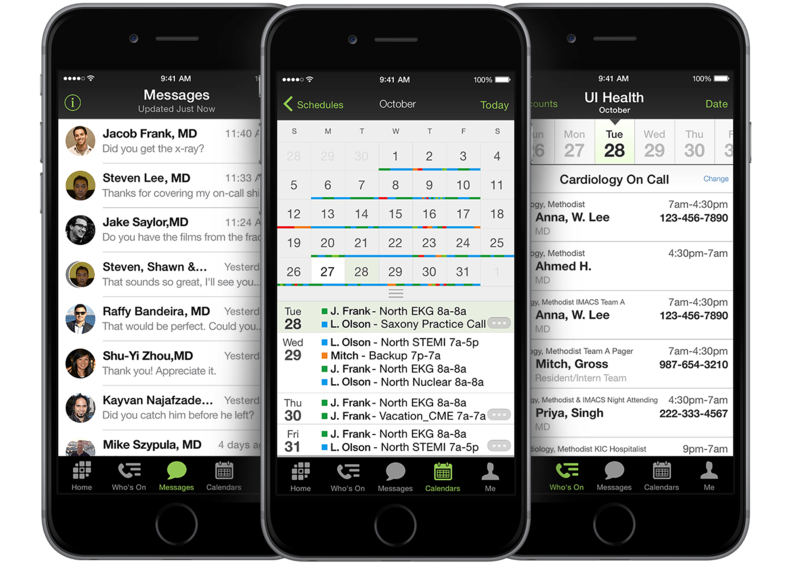 Be sure that everyone who works on the schedule with OnCall opens from the same location. The caption bar at the top shows what file you have open. Here we discuss web client.